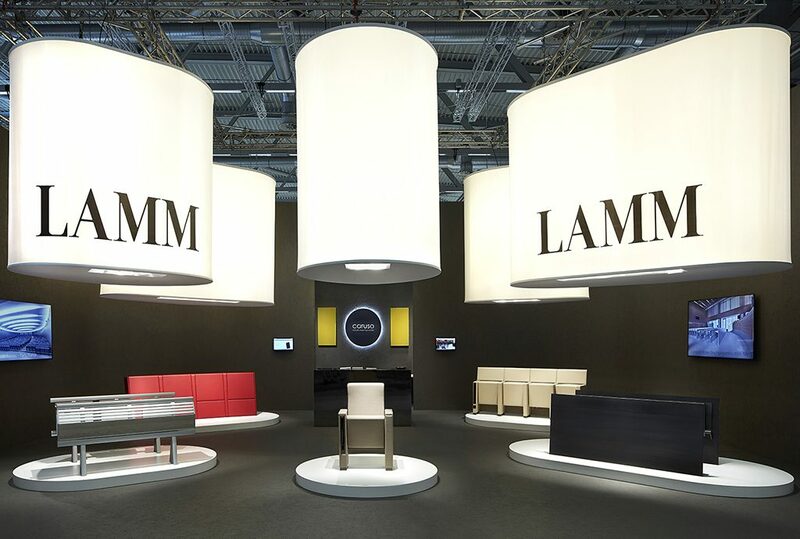 Great satisfaction has been expressed by LAMM, which participated at the fair in Cologne in a completely renewed stand. As CEO Michele Caruso has affirmed: “The exhibition went well not only with regard to the large number of visitors and contacts which allowed to inform a wide international public about the deep process based on the innovation of production lines, quality policy, development of products combining an exclusive design with an high technical content, but also to the received approval on the introduction of new finishes concerning the woods, the fabrics, the coverings and the coating cycles”. 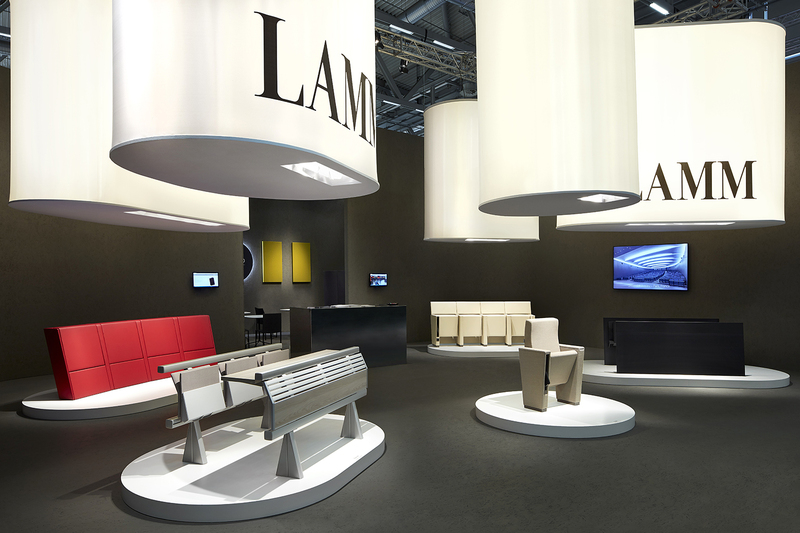 Among the most significant new LAMM products displayed at Orgatec, a top position is occupied by the evolution of Blade study bench system, now presented with a slowed-down, cushioned, ground-breaking, tip-up working plan, completely incorporated into the system, with no visible supports (patent pending). 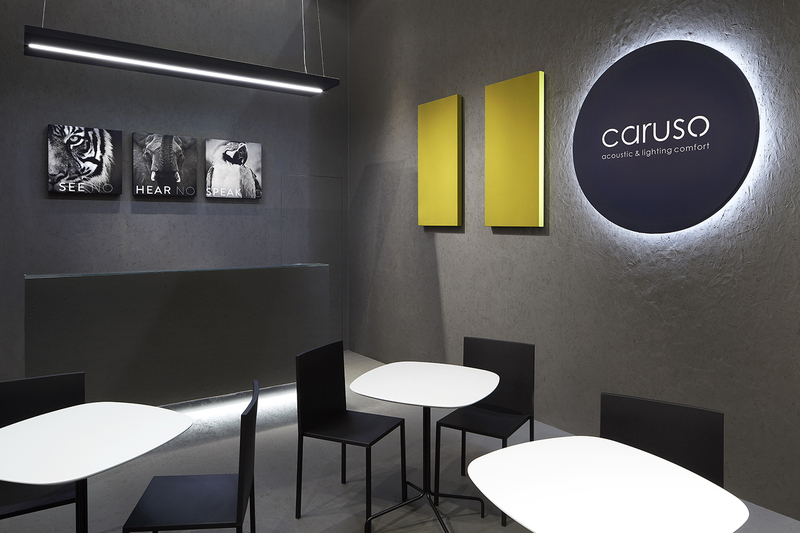 Together with Blade, a positive feedback was given to Genya armchair in the innovative curved row installation, Runner bench in the single backrest version and C900 restyled armchair, made more functional due to a variable centre to centre distance and a bigger tablet. 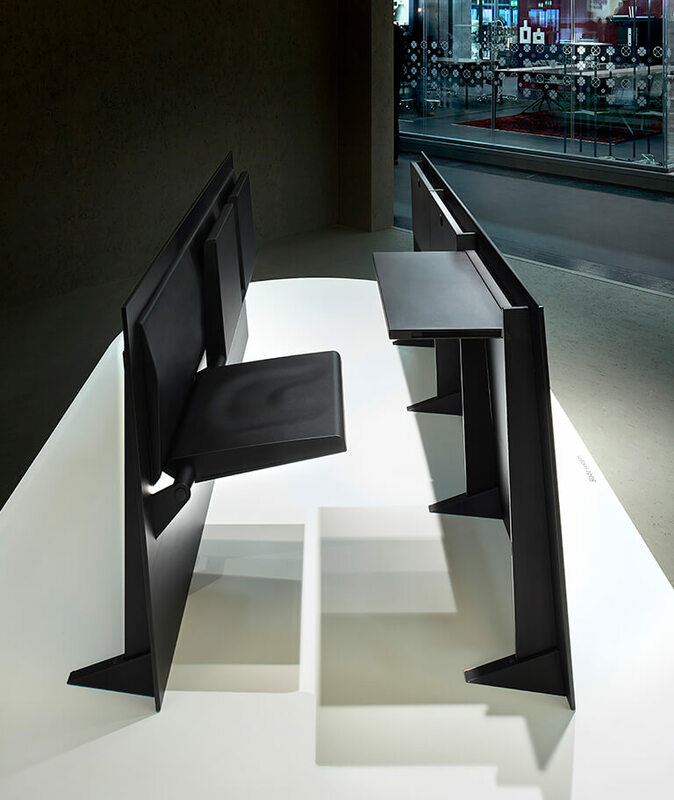 Characterised by a cutting-edge structural concept allowing for a perfect integration of every component, Blade study bench system has further evolved into a new tip-up working plan version with a slowed-down cushioned movement without visible supports (patent pending). Designed using new-concept structural layouts, which simplify assembly operations, allowing a wide range of compositional possibilities, Runner is an integrated and continuous system of seats and tables, with tip-up or fixed top, for university lecture rooms and conference rooms, now available in the version with single backrest. 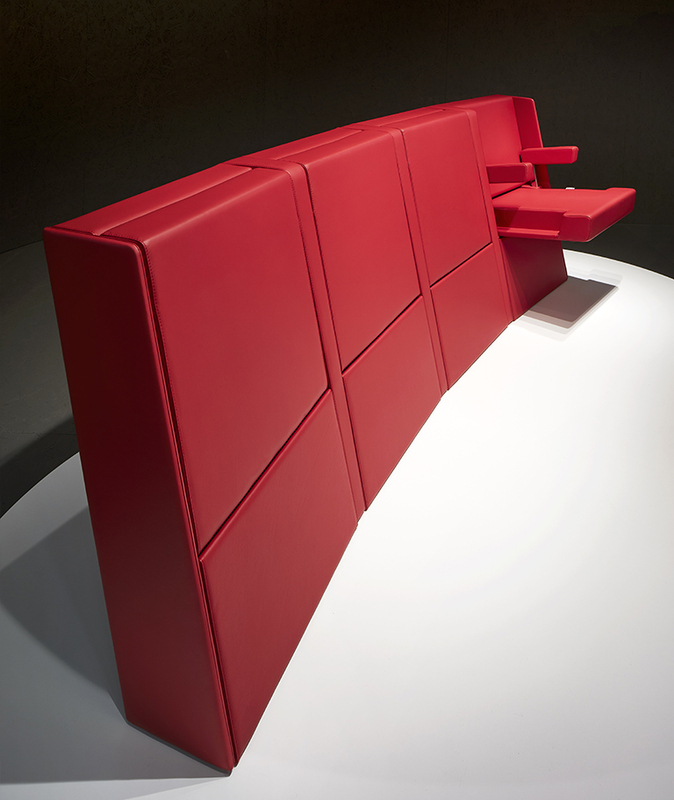 Characterized by an elegant minimalist design associated with innovative technological solutions, Genya is an armchair for auditoriums and conference halls, now also available in the exclusive version for curved row installation which further widen its possible applications in the various design areas. 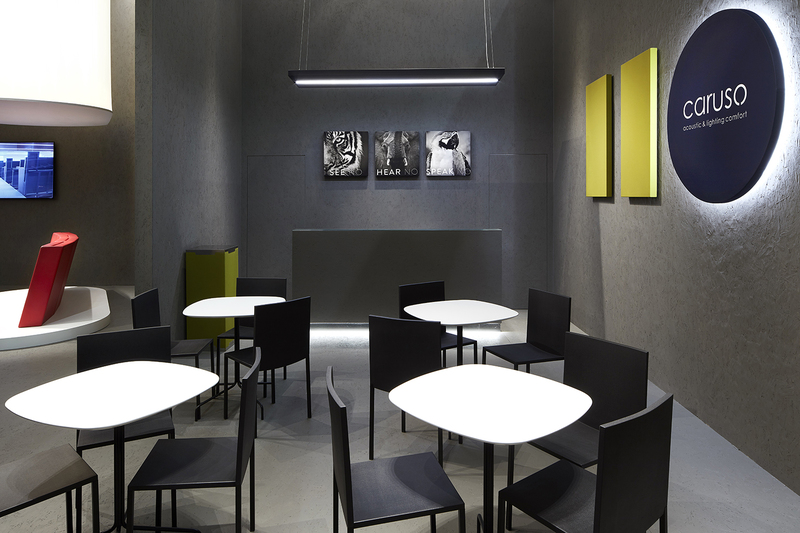 C900 is an armchair for auditoriums, conference halls and university lecture rooms characterised by design choices decidedly orientated towards ergonomics and functionality, as well as the comfort. 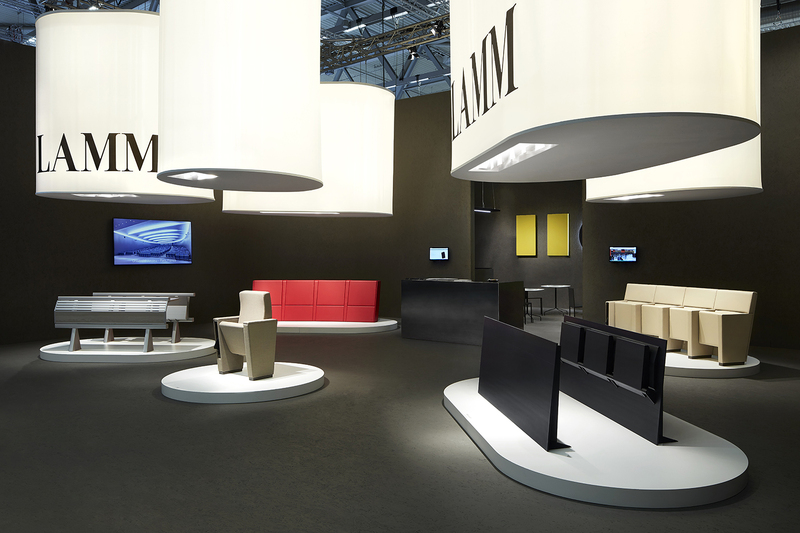 Involved in a recent restyling, the armchair has been made more functional due to a variable centre to centre distance and a bigger tablet.